This isn’t your grandmother’s Smart car. 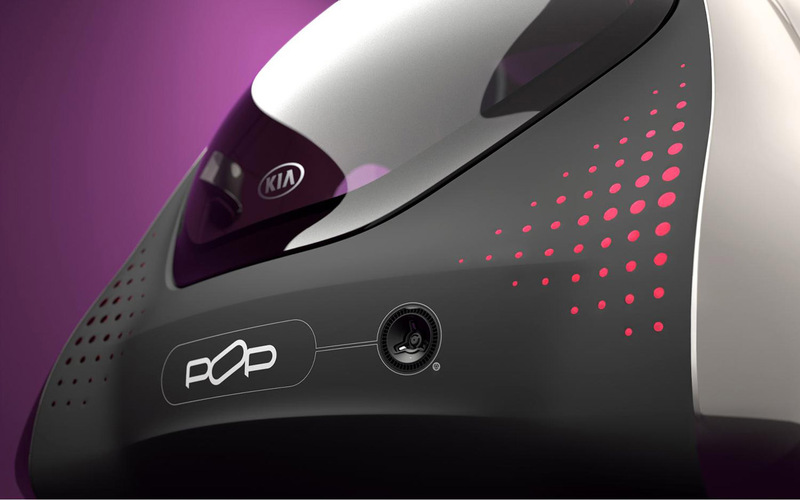 The Kia Electric POP concept vehicle, set to be unveiled at the Paris auto show in October, brings the traditional compact commuter car into the future–a gaudy, shiny future, but the future nonetheless. Kia won’t say much about the three-seater yet, but we do know that it measures approximately 118 inches long. That’s 12 inches longer than the Smart Fortwo coupe, but still tiny enough to fit into the diciest of parking spaces. The vehicle also features bench seats in the front along and a single seat in the back. The POP may not be appropriate for SUV-loving drivers, but it would fit quite nicely into the “eye-catching electric vehicle for short trips around the city” category. And the more electric options we have, the more likely that EVs will become mainstream.